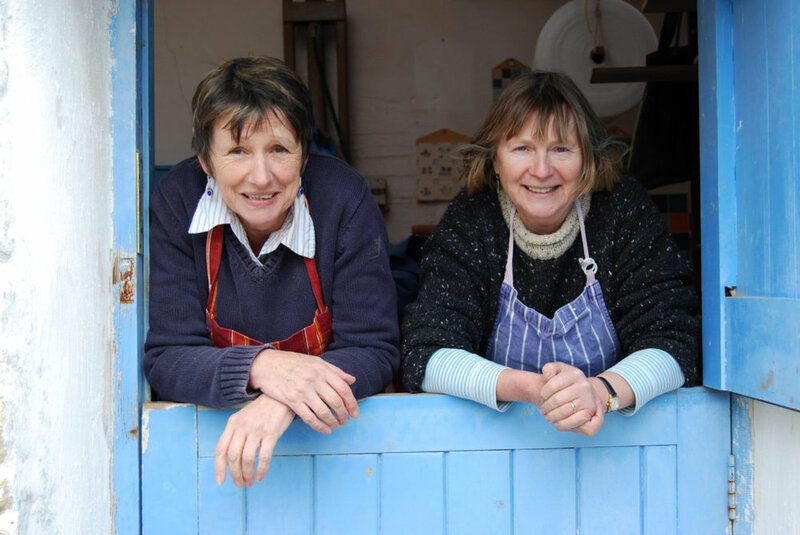 We are Monica Pittendreigh and Ann Pettitt, and we have run a small tile-making business in West Wales, for the past twenty-five years. 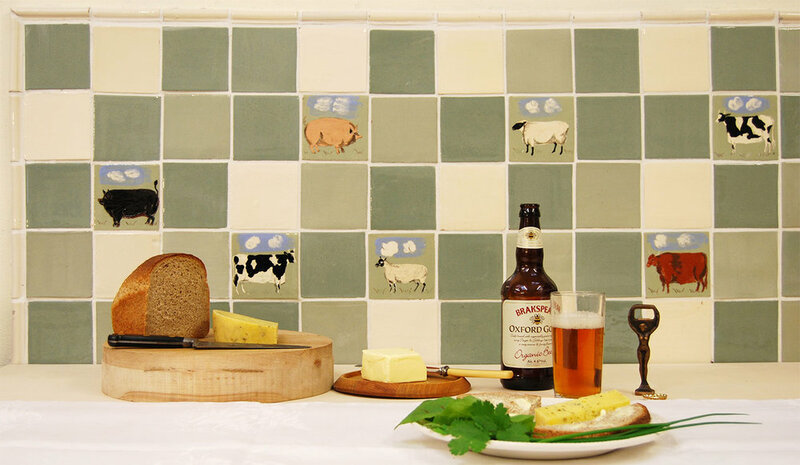 We sell our tiles by mail order to clients in the UK, Europe, and sometimes the US. We make our own colours to our own recipes, and we make our own designs. 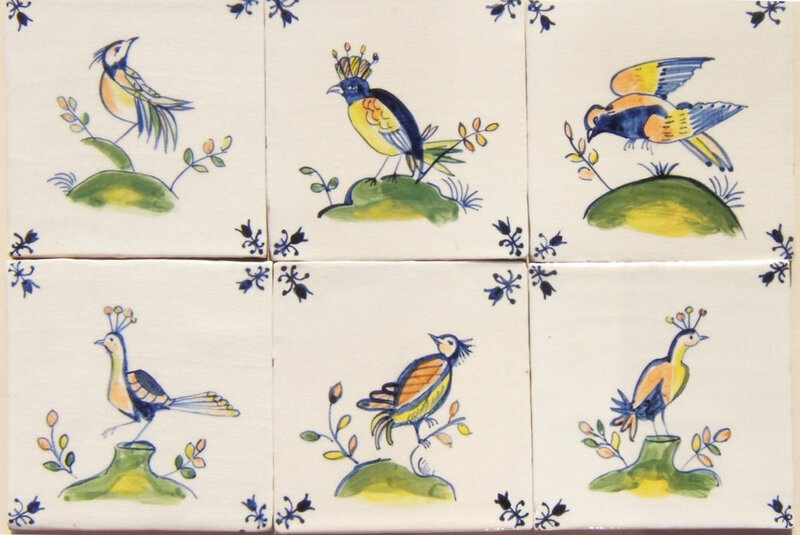 Because we make our tiles from raw clay and everything we make is produced to order, we are able to be flexible and work closely with our clients. Think of us as a restaurant where the food is all cooked for you from fresh, raw ingredients, rather than mass-produced, frozen and delivered in a cater-pack. If there is a label that fits us, it is “artisan”. This is the door to the workshop. In the summer, we have to keep the upper part closed, much to our annoyance, to stop the swallows coming in – which is even more annoying, as they can’t get out again. The workshop is part of a barn converted from a Welsh longhouse, where people would have lived next door to their cows.